Our fullest potential is found in the weaving and balancing of the Divine Feminine and Divine Masculine energies within ourselves. Both men and women carry feminine and masculine wisdom and tools. However, sometimes one or both of these energies is out of balance, silenced, wounded, misunderstood or disrespected. Men and women throughout time have been both the oppressor and the oppressed. Often it is the self-created oppression of our feelings, wisdom, power, beauty, truth or love that is the ultimate betrayal. Regardless of your past experiences and choices, you always have the option of embracing each of these energies where they are, and understanding what they need to become more whole and integrated within you for a more balanced Divine version of yourself. The Healthy Divine Feminine offers tenderness, wisdom, patience, nurturing, flexibility and fertility. Feminine intuition is one of our most powerful tools for guidance, and we all have it. “She” leads us in the right direction every time. Who couldn’t benefit from some sound reliable advice in life? When something needs attention or is out of balance, she communicates through the body, the emotions and our thoughts. When we are not listening or heeding her warnings, the voice gets louder and our discomfort grows. Out of balance and ignored, she loses self-respect, discernment and the ability to love herself. Could you improve your listening skills to honor this aspect of yourself? “Her” nature is to love you, guide you, honor you and nurture you. Can you allow this in? Where can you be more loving, honoring and nurturing to yourself? She is creative and playful and loves to be in nature. Your Divine Feminine is also the midwife to all that you are here to birth-ideas, businesses, children, art, books, products, systems +++. She supports the whole process of seed planting, germination, incubation, nourishment and harvesting. Everyone is here to birth something! 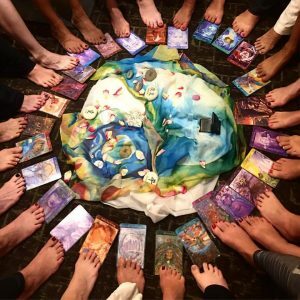 If you work together, your Divine Feminine will help you connect with your Divine seed and steward you and the seed through the birthing process with ease and grace. 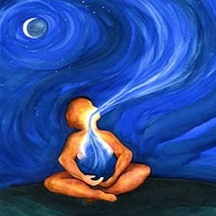 In connecting with this wise and caring aspect of yourself, you will feel more peaceful, nourished and supported. The Healthy Divine Masculine is fearless, courageous and loyal. “He” is our guardian protector. When in balance, the masculine protector does no harm. His gentle strength brings harmony and peace to where there was conflict and separation. He knows his power but does not abuse or misuse it. Are you using your power (words, actions, dollars and resources) in ways that unite or separate, create or destroy? He is a leader and is not afraid to speak the truth even if others disagree. He is courageously fierce in standing for what is right. What do you stand for? Are your choices in life reflecting this? The Divine Masculine is not afraid of the unknown. He enjoys adventure and exploring new territory. He believes in himself and knows he will succeed if his intentions are clear and actions aligned. The unhealthy masculine is stagnant, stifled, afraid to fail or an overpowering bully. 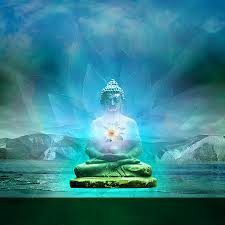 When you heal those parts of “him” that are hurt, stifled or misunderstood and you team Him with the love and wisdom of the Divine Feminine, the combination is pure perfection. 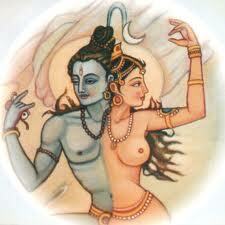 When working in harmony, the Sacred Union of the Divine Feminine and Masculine can unite, heal and create ANYTHING!!! The synergy created by this balanced union catalyzes the forces of creation into manifestation. The love that is possible when birthed from this union is that of the unconditional sacred heart of Divine Source. By balancing, healing, honoring and integrating our Divine Feminine and Masculine energies, we write a new future for ourselves, humanity and this planet.